This is a tough one...Oscar Peterson and Michael Kidd, both gone within a day of each other? Sheesh. I didn't know Mr. Peterson, but I did have the privilege of interviewing Michael Kidd on his work and that of Agnes DeMille for a piece on the DeMille family many years ago. Talking about dance with him was fascinating because he had such a snap and a wit...talking about dance is tough and he was endlessly ifascinating! He's one of the few I could have gone back to gladly for another hour (or ten). I also loved his humor. At one point, my former partner Keith Lawrence popped off with one of his trademark, tasteless non-sequiturs (driven by only-God-knows-what impulse) when Kidd mentioned his wife. "Gee, I thought you were gay," the absolutely unaware and uninhibitable Keith mused. I gagged: not the first or last time that happened with Keith. Kidd, ever the smart-mouthed Brooklyn lad, whipped out a comeback without even taking a breath. "I used to be, but that was just to get into show business." "From approximately 1956-1971, thousands of American residents and US citizens, from John Lennon to John Kerry to Martin Luther King Jr., were the subjects of COINTELPRO (Counter Intelligence Program), the FBI's secret operation to target people and organizations viewed as un-American. Decades later, historians and the subjects of the spying themselves have begun to use the Freedom of Information Act to piece together the story of COINTELPRO. 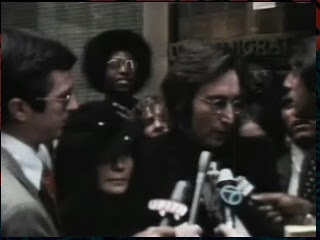 In this episode, we focus on the case of John Lennon and uncover the effects of the FBI's domestic spymasters on this pop-culture icon and the myriad of people who loved him." Check out this page for a sneak peak...it's airing twice on 12/27/07...check your local listings for times. Next up: Godfathers of Havana. I did this little piece in part to see what it would look like (I've always loved time lapse...I have a great one of a day in the life of a baby hummingbird around here somewhere), and in part to tip the cap to Ken Wong. He manages the Water Stations for my running club, which is one TOUGH job. He has to get up before the milkman, and carry a ton of water and snacks to the locations, and (worst of all) he has to get us Leggers to help him out. He also takes some great pictures. Bravo Ken...you do a hell of a job! Also...more importantly for Story Tactics...I built a new slate for the end: a little Story Tactics animation. I remixed an old Devo tune (Timing X) which has haunted me ever since I first heard it. I remember picking it out on the piano years ago...I should see if I could do it today. Still working on the other Legger video (City of Angels Half)...but more importantly I've just started digitizing my first major project of 2008: the first two of what will eventually be six (and then as many as 20) videos for Los Angeles County. More on those soon. 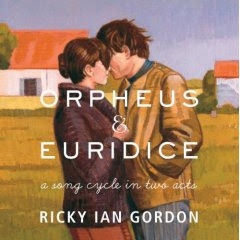 Ricky Ian Gordon, an Olympic swimming pool, and the Long Beach Opera...what's missing?